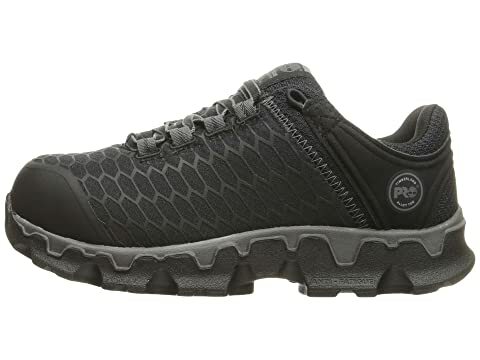 The Timberland PRO® Powertrain Alloy Toe SD+ work shoe has an athletic, low-profile style that will keep you protected, comfortable, and supported all workday long. Style numbers: A1B7F001 (Black Synthetic) A1H1S001 (Black Synthetic/Lavender), and A1GVR065 (Grey Synthetic/Orange). 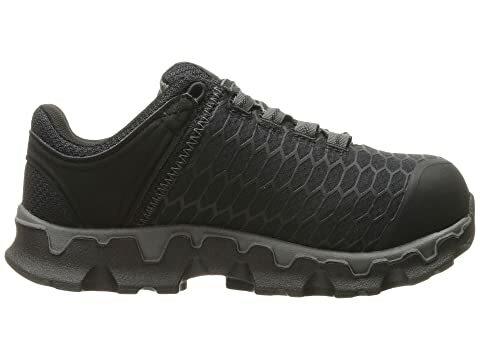 Premium synthetic and ripstop nylon upper. Designed specifically for a woman's foot. 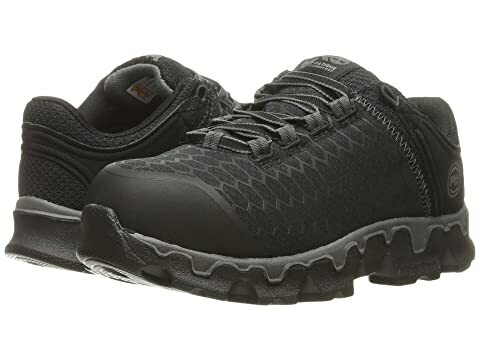 Alloy safety toe work boot offers lightweight protection. Lace-up closure for preferred fit. Cement construction adds flexibility and reduces break-in time. 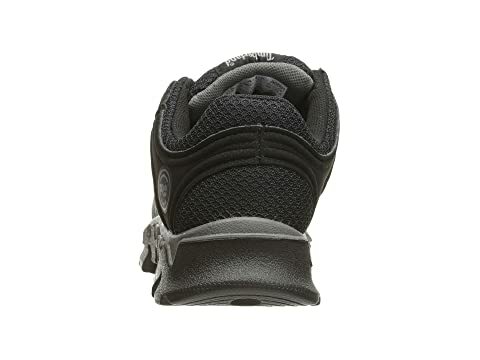 Lightly padded collar and tongue add comfort and stability. Breathable mesh lining with antimicrobial treatment reduces odor. Footbed features Timberland PRO 24/7 Comfort Suspension™ technology is a unique comfort system that meets the most rigorous work site demands, supporting the arch and cushioning every step to help to reduce foot fatigue 24 hours a day, 7 days a week. Fiberglass shank provides structural support. 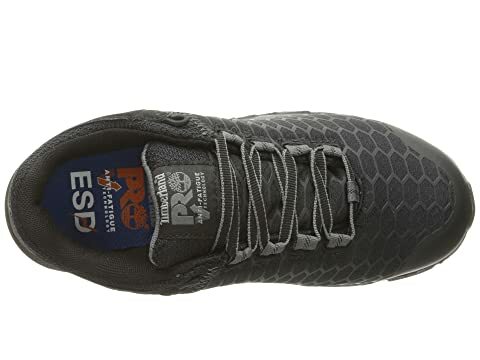 Outsole features Anti-Fatigue Technology that absorbs shock and returns energy at key zones of the foot for comfort. 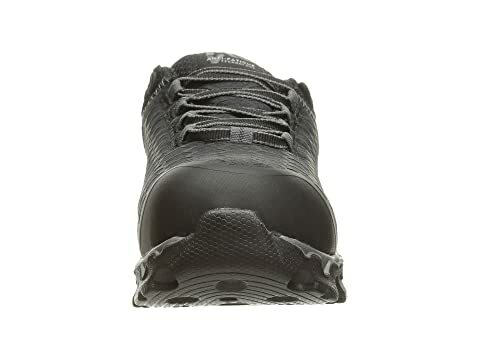 Molded, inverted cones support, collapse and return energy in key pressure zones, and the cone structure uses less material for a lighter boot. 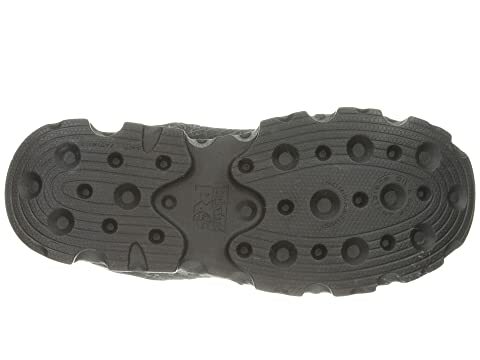 Nonmarking PU outsole is slip and abrasion-resistant. Alloy safety toe meets I/75, C/75 impact and compression standards. And meets SD (static-dissipative) ASTM F2412-11 and ASTM F2413-11 safety standards. Product measurements were taken using size 5.5, width C - Wide. Please note that measurements may vary by size.